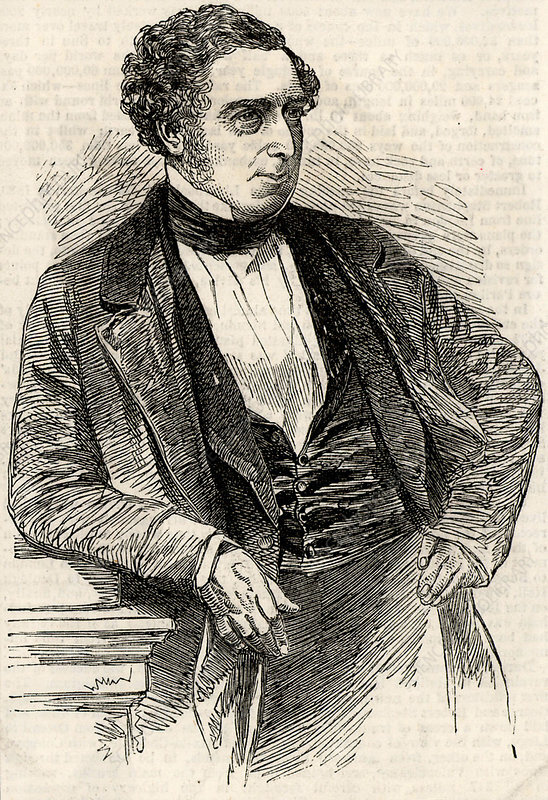 Robert Stephenson (1803-1859) English civil engineer and son of the railway engineer George Stephenson whom he assisted in a number of projects. In 1833 he was appointed chief engineer of the London and Birmingham Railway. Among his famous bridges are the High Level Bridge at Newcastle and the Conway (Conwy) and Britannia innovative box girder bridges. Engraving from The Illustrated London News (London, 19 October 1850).